A storm is brewing, if not in full effect, between two of the world's best sport climbers/boulderers over what could be the hardest sport route in the world so far. News reports have been written on many climbing websites and both climbers involved have written and published long essays stating their perspective about the controversy. The disagreement occurred between the Finnish climber Nalle Hukkataival and Chris Sharma - perhaps the most famous climber of all time - at Margalef, Spain over a new route. Finnish climber Nalle Hukkataival started climbing at age 12 in 1998. Last year he climbed LIvin' Large a boulder problem in Rocklands which he gave 8C. Earlier in 2009 he repeated Jade (Font 8C) in the Rocky Mountain National Park (RMNP), Colorado, first climbed by Daniel Woods in 2007, a problem which repeat ascensionist Tyler Landman called, "The testpiece of my generation. " To put that in perspective possibly less than ten climbers have bouldered 8C or V15, on that list is Chris Sharma. Nalle is no slouch when it comes to climbing with a rope too, having repeated up to 8c+ in Oliano, Spain the last few months. As well as going to Spain to get some endurance he also had another reason to go. The project he was not allowed to try was Chris Sharma's First Round, First Minute (FRFM) at Margalef. This is a short and powerful route that Chris bolted and has been trying since last year. In fact so frustrated was Sharma at falling off at the last move that recently he did a left finish, First Ley, 9a+ (reported here at UKC: Bolger 9a, Ojeda 8c, Andrada 9a+ and Sharma). FRFM is a short route, but extremely difficult, it begins with an 8B+ boulder problem then has 25 to 30 moves of pure resistance to a 7B+ boulder problem to finish. Hukkataival continues, 'When I arrived in Spain, Dave Graham told me he had been working on it with Chris, so that also meant it must be open. Before I ever got on it, Chris asked me to give him a chance on it, so I did. Apparently the route has been 'red tagged' this is a practice that originated in the USA where if you bolted a route you put some red nylon tape on the first bolt to show that it was actively being tried and that no-one else is allowed to try it, although in the case of FRFM no red tag had been physically placed on the first bolt. Chris Sharma has global appeal and a global fanbase, like it or not we now have celebrities in the world of climbing and Big Up aren't the only commercial interest to have invested in the brand that is Chris Sharma, climbing companies have and he is the darling of climbing media, including UKClimbing.com. Some have inferred that there maybe commercial pressures here. Josh Lowell of Big Up Productions has partly built his successful business on documenting Chris Sharma's climbing life. Consider that a Big Up DVD, retailing at $29.95, with Sharma featured, may sell approaching 20,000 copies over its shelf life and that's not counting the downloads which retail at $19.95 and are being bought in the thousands. Compare that to the UK climbing DVD's by the likes of Hot Aches, Bamboo Chicken and Posing Productions who are lucky if they sell 3,000, and it's clear that there is big money, hundreds of thousands of dollars, involved. If Chris Sharma doesn't get the first ascent of a landmark route like First Round, First Minute then some people stand to lose money. Big Up always market Chris's climbs before he completes them, they've been reporting on Chris's progress on First Round, First Minute which was featured in last years Big Up film, Progression, for some time, building up the anticipation for a successful ascent amongst the world's climbers and then the release of the film of First Round, First Minute for purchase. Chris Sharma has global appeal and a global fanbase, like it or not we now have celebrities in the world of climbing and Big Up aren't the only commercial interest to have invested in the brand that is Chris Sharma, climbing companies have and he is the darling of climbing media, including UKClimbing.com. Josh Lowell, of BigUp productions has, in his words 'join(ed) in the fray to try and clear some things up', by dismissing the opinion on this topic by anyone who is not involved, 'with equipping routes or making first ascents.' But he did clear up a lot of misconceptions that always arise with so many conflicting opinions and speculations that these modern climbing controveries spawn these days where all can comment, see Josh's blog. Not least Lowell stated that Chris Sharma isn't under any pressure from Big Up to close the projects he is working on and stating that there is,'no evil global media syndicate'. Josh did berate Matt Stark, the editor of the aggressive new online upstart Dead Point magazine who bizarrely offered a $1,000 bounty to whoever could do the first ascent of Jumbo Love a route at Clark Mountain, California that Chris Sharma completed in 2008 (UKC news report). Jumbo Love is a stunningly beautiful route that was originally bolted by Randy Leavitt who discovered and developed Clark Mountain. First Round, First Minute: Muhammad Ali vs Sonny Liston 1965. That a climber owns a route is a fairly recent phenomena. In the old days, before bolted routes, it was open season, anyone could attempt any potential line and there are great stories of competition between top climbers for first ascents, competition that sometimes helped motivate climbers to push the boundaries of ascent and get the job done. 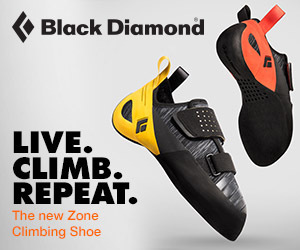 Even at the dawn of the sport climbing revolution in the mid-80's, if you bolted a route it wasn't automatically yours. It wasn't unusual if you bolted a route to take several of the first bolts out at the end of the day to try and stop other climbers from having a go and grabbing the first ascent before you did. Sometimes that didn't even work as I personally experienced on some of my bolted lines. One British climber, Chris Plant even bolted a metal pan onto a bolt on his project at Kilnsey (North Yorkshire, UK) to stop a particular aggressive Geoff Weigand from stealing his bolted line and at the same crag, Dave Pegg smothered the holds of Daliance with lip balm for the same reason. John Dunne was particularly adept at snagging other climbers' projects, most significantly the aptly named Predator a route at Malham Cove that was bolted by Steve Rhodes. 'In the 1980's the idea grew of climbers somehow having rights to something they were working on. We wouldn't have stood for that. '....Ron Fawcett. However it did evolve, especially at the top end, that if you bolted a route and were actively working the route, then other climbers would respect that and wait until you had completed the successful redpoint. Ron Fawcett on New Route Ownership. from the book Ron Fawcett: rock athlete. The story of a climbing legend. Both Nalle Hukkataival and Chris Sharma have let their thoughts be known on the internet by posting essays stating their point of view about this episode. Both are getting on with their climbing and both are supremely talented climbers who no doubt will make great ascents well into the future. Chris states at Björn Pohl's The Lowdown that he has, 'about 15 projects in Catalunya in the range of 9a to 9b+ or harder that are all open projects and all 5 stars.' but as he has invested so much time and emotional energy in First Round, First Minute and is very near success, 'for me it is a really important line in my personal progression' he says and he really doesn't want the added pressure of someone else working it and possibly doing it first. First ascents are important to some climbers. 'Chris's point of view is very understandable and although I am against red-tagging, I respected his wish. My intention is not to wage war with anyone or make anyone feel bad, I just want to climb and have fun. Ownership of bolted projects is a murky and complicated issue, and it seems that it polarises top climbers, the climbing media and normal climbers alike. There'll be lots of talk both off-line at the crag and online about this topic for sometime to come. It's a problem that has not infected potential boulder problems and trad routes where the canon that they are up for grabs by anyone still apply, and rightly so. Anyway, enough! It's time to climb. See you out there. Whilst there are a great many 'climbing greats', few are greater than Chris Sharma. Ever since the age of 14 Sharma has been pushing standards forwards in terms of both difficulty and quality, with a list of cutting edge ascents spanning over two decades. Disagree. Seems like a well structured and relevant article that poses a very interesting question. I don't really know where I stand on this, although I don't climb hard enough to have to poach routes! Not as far as the rest of the world is concerned. The article is quite an interesting read but the first line is misleading. To quote one of the antagonists "Chris's point of view is very understandable and although I am against red-tagging, I respected his wish. My intention is not to wage war with anyone or make anyone feel bad, I just want to climb and have fun. This was not the end of the world for me and there's so much good climbing in Catalunya, that you're never going to run out of routes to try." A storm brewing? More like it just petered out. He could of course bolt his own project and stop sulking. © UKClimbing Limited. All rights reserved. Last updated March 22 2019.